Many DBS Telecoms customers that own 0800 numbers are really excited about a new feature that is able to divert all incoming calls if your lines are busy or if there is no answer. This feature is called "Divert calls on Busy or No Answer" or DOBNA for short. Simply put it means your company can make sure it will never miss another phone call. A custom plan can be set up which can involve up to 5 separate telephone numbers. The plan can include landline numbers, mobile phone numbers and answer phones. You can choose how many seconds the call rings at each number before it rolls over to the next number on the custom plan. This means your incoming phone calls follow you around wherever you may be. 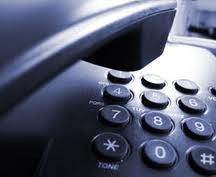 At DBS Telecoms we get asked lots of questions every day about the 0845 numbers that we provide. Many people are confused by 0845 numbers so we decided to write an article to clear things up for our customers. Premium rate numbers such as 0871 are often charged at a higher rate than normal for the caller. 0845 numbers were put in the place of 0345 and 0645 prefixes, and usually cost the same as local call rates. However, in some cases, such as when calling from a mobile phone, they can cost more. Typically, 0845 numbers are used for business service departments and public sector organisations. One example of this would be a retail store. 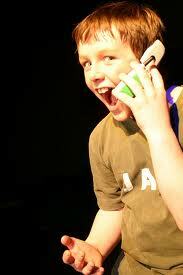 A caller will phone the 0845 number and then be directed to their nearest store determined by the origin of the call. This is known as a geographic call plan. 0845 numbers are usually issued privately from telecoms resellers with the option to have extra features to increase customer satisfaction or for various other reasons. For businesses, such premium rate services are beneficial. In terms of communication, a company can advertise just one number rather than having multiple to allocate to different departments or regions for example. David Clarke - a director of DBS Telecoms has published online his first "humorous" poem on Ezone.com. Staff at DBS don't think he needs to quit his day job yet. Read his feeble efforts on Ezine (the world famous article site) by clicking here. Prank callers can be the "occupational hazard" for the owners of Freephone 0800 phone numbers. Many 0800 prank callers activate the withheld facility which is provided by service suppliers to maintain their anonymity. Therefore, one way of avoiding receiving these calls is to avoid answering withheld numbers, although this comes with disadvantages. You may dismiss a withheld call and accidentally ignore a potential customer, so it is important you understand the risks involved when choosing not to answer a telephone call. More than 600 words are allegedly filtered out of text messages sent within China claims SMS service company Boer. Some other allegedly banned terms include "telling the truth" and "public opinion". These terms are said to have been banned by China Telecom, China Mobile and China Unicom.